What makes Ragon House unique and fresh? The people….Starting from the top, Mary, Josh and Carrie have had an immeasurable influence on our industry. 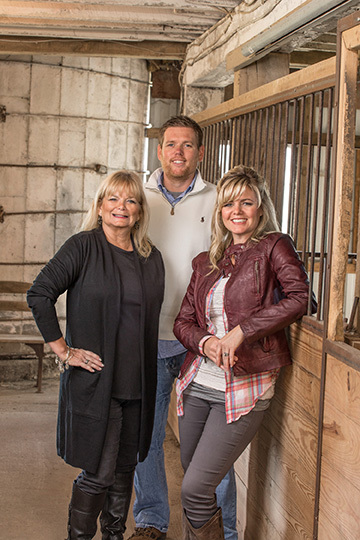 Mary and Carrie are the creative force behind Ragon House and Josh handles the day to day business of a growing company in an ever-changing industry. They have an amazing staff that comes along side of them to help them bring their customers the best in style and design in home decor. Mary, Josh and Carrie – the people behind 22 years of success at Ragon House. The home decor line started small. What started as a 5’x10′ booth at The Market Square Show in Valley Forge in February 1996 where they introduced their hand-stenciled band box line has turned into a 20’x50′ space with thousands of unique products ranging from Christmas ornaments to rustic furniture pieces. “Even though it can be a huge challenge to create designs in this ever-changing industry, Carrie and I love what we do. 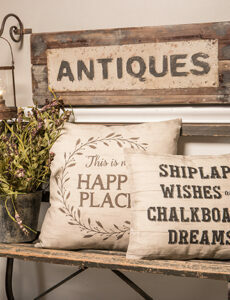 We love to scour antique shows, sales, shops and flea markets for inspiration. We feel that it is truly our job to always bring a fresh and current spin to an old idea. We are told often that our line has a “different” look from all the rest, which we take as a true compliment,” said Mary. Ragon House – always inspired to bring a fresh and current spin to an old idea. I’m happy to say we have now entered our 22nd year in business — it’s been a real roller coaster ride but we so appreciate our loyal customers who have ridden along beside us.” Mary continues. “We strive to continually improve our services and introduce a fresh product line to inspire our wonderful shop owners who continue on this journey with us.” When all is said and done, it is the small country businesses that are always so loyal and greatly contribute to the growth and success of Ragon House. Ragon House – Evolving with the needs of customers. A big part of Ragon House’s growth has been their ability to evolve with the needs of their customers. What started out to be a totally “primitive” product line has now evolved to their current offerings of vintage, farmhouse, rustic and antique, as well as a large collection of holiday and floral. Unique home decor products by Ragon House. Visit the Ragon House booth in February. Just walking into Ragon House’s booth you’ll see the difference that quality and creative people have had on their business. You’ll be excited to see what new products they are debuting at the February Market Square in Oaks and the exquisite booth presentation they always put together. 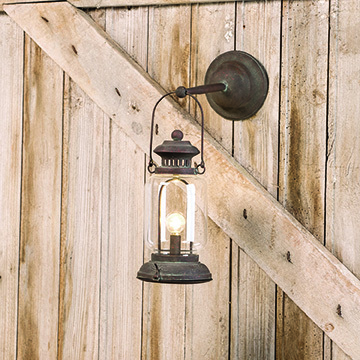 Remarkably, Ragon House is a company of people that take pride in creating fresh, new, quality products for the home. For more information come see Ragon House at booth 101 at the Greater Philadelphia Expo Center February 4-6, 2018.